I was recently in Denver, Colorado for a conference. While there, I took the opportunity to visit the M.W. Reynolds store at 1616 Stout Street. On it’s storefront window, M.W. 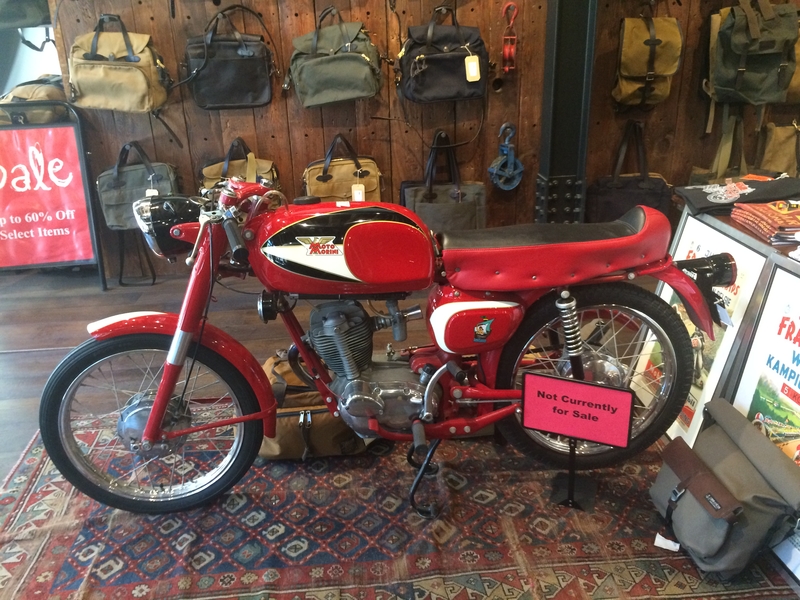 Reynolds proclaims that it specializes in “Shooting, Fly Fishing, Motorcycles, and Apparel.” Behind the glass sits an early Norton Commando motorcycle. 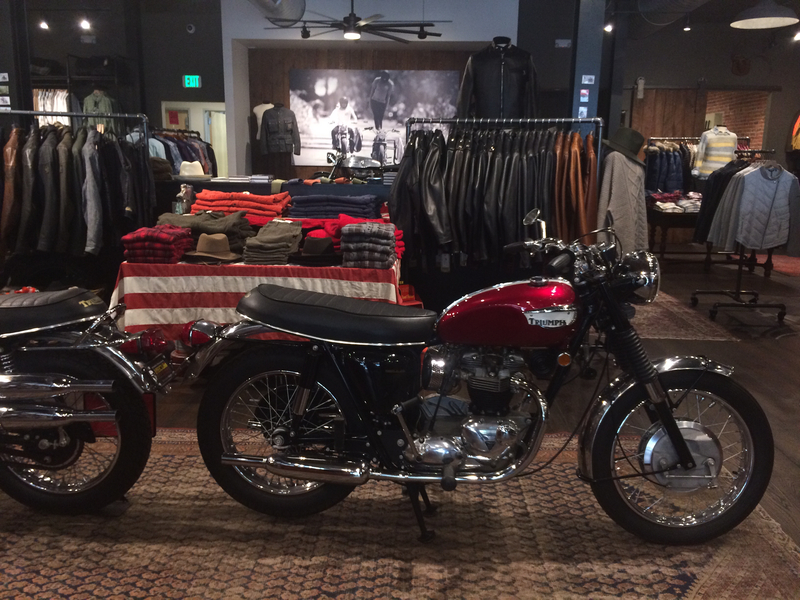 Inside the store is a 1960s Moto Morini and two Triumph motorcycles. Of course, there is also fly fishing tackle and a lot of other merchandise. The fly fishing tackle includes a wide selection of graphite, fiberglass, and bamboo rods. Among the latter, you can find examples from such notable makers as D.L. Whitehead, Tim Zietak, and Gary Lacey. 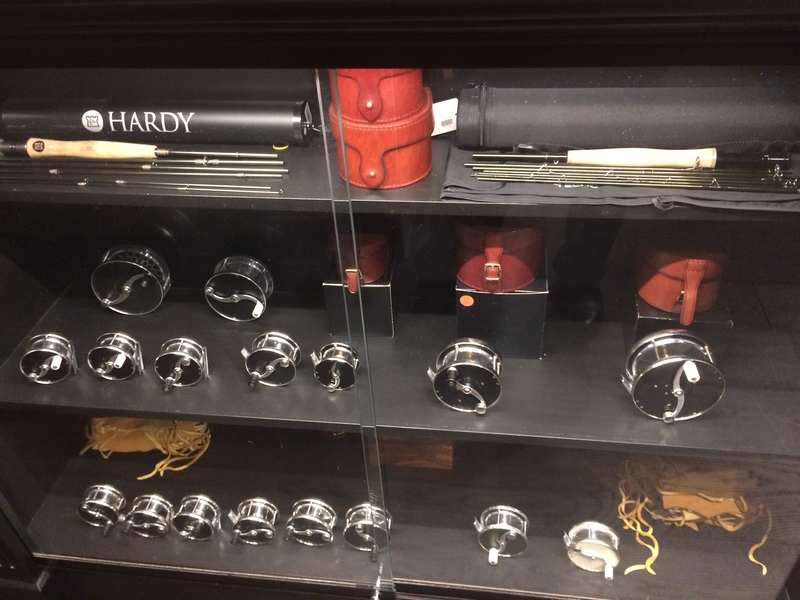 The store also sells a variety of reels, including beautiful s-handle reels from Bellinger and Saracione. To round thing out, the classic-minded angler can find vests and bags from Filson. Importantly, though, the store also sells plenty of more affordable fly fishing equipment. For instance, they stock Fenwick and Redington glass rods and entry-level Loop and Redington reels. Amidst tables and racks of bags, motorcycling and sporting clothing, and grooming supplies, there is large collection sporting books. These range from texts like Jim Corbet’s classic The Maneaters of Kumaon to Graydon Hilyard’s Bogdan, devoted to Stanley Bogdan’s masterpiece fly reels. The staff are relaxed and very accommodating. If you are expecting them to be a bit stuffy, based upon the high-end nature of the merchandise they sell, you are completely wrong. So, if you are in Denver, be sure to visit the store. For those who enjoy contemporary classic tackle, it is a must. You can also find M.W. Reynolds online. This entry was posted on September 26, 2017 at 9:38 PM and is filed under Environmental Literature, Fly Fishing Tackle, The Arts. You can follow any responses to this entry through the RSS 2.0 feed. You can leave a response, or trackback from your own site. Years ago I had a friend who rode a 1973 Commando “fastback.” Simply gorgeous machine, and surprisingly quick even by modern standards. (That’s a pre-’72 fastback in the first pic.) It was screwy to ride, as the clutch, brakes and shift pedal were all bass-ackwards (British eh…) Still, in your twenties, it’s clear you are going to live forever, so you just put your knee down and went for it. 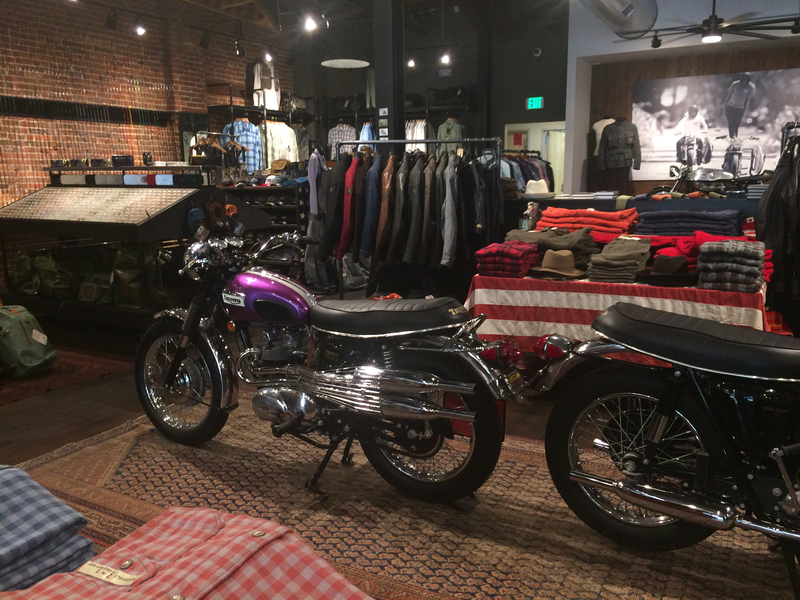 It is a cool store, though the visit was a bit torturous. I can’t speak to bikes, but I have to admit I genuinely hates driving in the U.K.